james beam wrote: Oh I tried that sketch-up program yesterday...strangely wierd, wayyyyyyyyy beyond me! I can't even build a simple box with it, LOL, I'll keep playing with it, maybe I'll learn how to do something with it. You might want to check out this new (published on Jan 7, 2014) Sketchup tutorial series. He makes it easy to understand. Interesting... "a visualization of global weather conditions, forecast by supercomputers, updated every three hours"
For your location, current conditions, and minimal effort, I would say mulch would be a solid addition. Bags of leaves from your neighborhood, wood chips from the local facility, yard waste, grass clippings, kitchen scraps, compost, whatever; just pile it on. If you want, mix some seeds into all that mulch, especially seeds of nitrogen-fixing support species, seeds of fast-carbon-pathway plants -- plants that produce a lot of mulch themselves, as well as seeds of plants that will grow to feed the animals. The mulch will begin to create the micro-environments that will make germination possible, even if rain is sparse right now. It will protect the soil, it will create dew pockets, and the decomposition process will release water at the same time. You want the mulch deep and varied. Six inches to start with, and many different components should make up that mulch, not just one (i.e., not just wood chips, but, rather all of the above). No digging necessary. Let nature's myriad critters do that for you. The mulch gives those creatures a home, gives them protection, invites them in, and they go to work. And the chickens will love it, because chickens eat a whole lot more than just grass. With the mulch protection, the area will also begin to seed itself. There will be seeds in the mulch already. And the mulch will give seeds from the wind and seeds from the birds a place to get caught. So, even if you didn't add any seeds, you would start to see growth of all kinds of pioneering plants; lots of rabbit food. Once the mulch begins to break down, add some more now and again, until the system can support itself (assuming you added sufficient support species; otherwise you'll fill that roll by adding mulch every couple of months). You get abundant diversity with minimal effort, and you lighten the local waste stream at the same time. Fair warning: I think most humans will find that some of these photos and descriptions elicit a strong emotional response. So, if you choose to post a response here, you might want to consider the tagline that Paul adds to the end of his daily-ish email... "[this is]...about permaculture and making a better world through learning good things rather than being angry at bad guys." Just got around to reading this. An enjoyable read. Sounds like it would be a fun farm to visit. 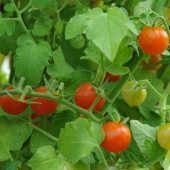 FWIW, I just saw some the other day at Reimer Seeds, listed as Spoon Tomato / World's Smallest Tomato., when I was browsing their Fun Thing to Grow list. I learned about this a few years back now, in relation to creating a comfrey tea. And I've done this once or twice in the years since, using comfrey leaves, packing them into the bucket until the bucket is full of leaves, weighing down the leaves with a brick or rock, and then covering bucket. And, as I remember, no water, no stirring. The leaves break down and create a tea, like you see in the video. Great use of comfrey, because, in the right environment, comfrey is prolific and the leaves are very large and easy to harvest without destroying the plant. Thanks for posting this. Very interesting to hear the perspective from someone actually doing it, and all that means within their local environment (culture, law, politics, knowledge level of the local population, etc. 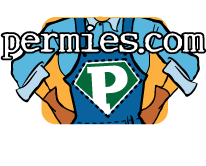 ), as well as the intricacies of direct market, retail market, or wholesale market, and how those choices affect someone wanting to run a permaculture farm. Julia Winter wrote: If you're going to buy something on Amazon, start here at Paul's cast iron article and scroll down to one of the Amazon.com links. It will activate a cookie that gives Paul some sort of teeny kickback for whatever you buy in the next, I don't know, hour or so. You don't have to buy the particular thing that is linked, so just click on the link and then enter what you want in the search box. I believe the link I posted in my message accommodates Paul's ID. At least that's what I tried to do. Not sure how to verify it's working though.